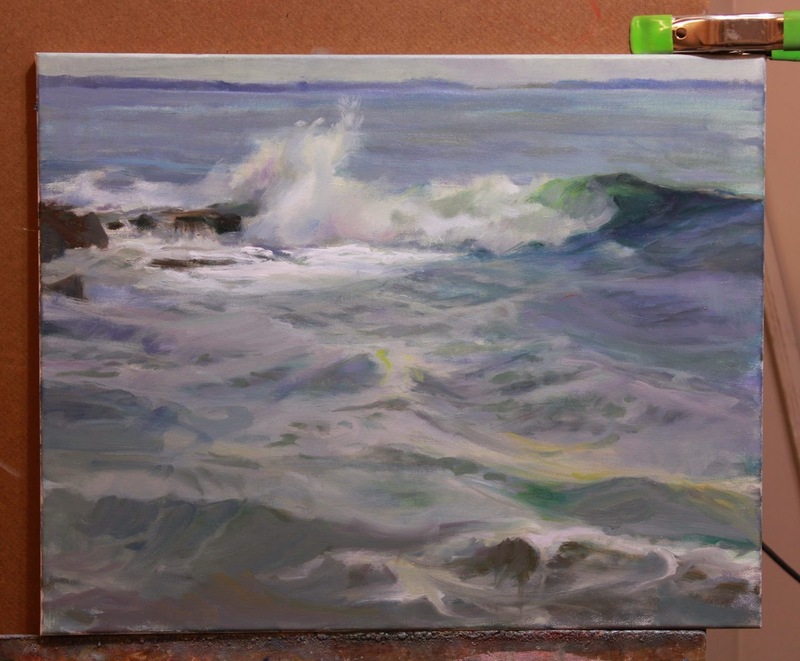 Progress being made on my latest seascape. I really enjoy the process I go through when creating these. The sea has so much movement. It is fun to discover ways to capture that feeling. Recently I started trying to condense my values. In this one I did just that. I then added the brilliant warm white near the focal point. I think it works well. It definitely draws your eye to the center of interest. Love the movement in the water...great! ... and what's on your easel this Wednesday? You are getting there no doubt. I think the age old saying applies here too that practice makes a man perfect. My friend who started doing Aboriginal Art decade ago has turned into very nice arts man and his paintings now sell for thousands.